Capture that rustic charm with our real Wooden Business Cards. The individual grain and texture of the wood mean that no two cards are alike! Our Birch, Cherry, and Walnut options offer a broad spectrum of natural wood tones to match your message. Our Wooden Business Cards are remarkably versatile, and will bring a refined sense of nature to your organization. All three types of wood are available in two distinct finishes.The Smooth Wood option boasts a fine, super-smooth texture that will add an air of luxury to your design. Feel the pattern of the grain with our Natural Wood finish, which can be paired with a custom backing of your choice to create a truly unique Duplex Business Card. Give your Wooden Business Cards a boost of color by pairing it with one of the brilliant stocks from Colorplan. For an extra punch, use foil on the Wooden side to make your printed image stand out that much more. The lightest of our Wood stocks, this option allows you to be the most versatile with your design. This species of stock has a light shade and more subtle wood grain, making it a good choice for bright coloured artwork. A medium wood shade in a unique cherry colour, this option boasts a stronger wood grain pattern. Our darkest wood stock boasts an intensely rich colour for a bold impact. This darker brown wood shade is suitable for designs using dark colours. We suggest black ink or white foil for the best results. These 2-Ply business cards use our 16pt Natural Walnut and our 16pt Jet Black. It features black and white Silk Screen on Walnut and a gold foil on our 16pt Jet Black stock. For the most unique wedding invitations choose one of our unique wooden stocks. When paired with white Screen Print, your design will exude natural elegance and sophistication. Available in all standard and custom sizes on any of our wooden stocks. For the most unique wedding invitations choose one of our unique wooden stocks. These walnut notebooks are produced with our metallic gold foil printing. This is one of the highest regarded specialty print processes and the final result is a completely unique look that is very classy. The metallic gold perfectly complements the wooden paper and the two combine to give off a look that is both rustic and refined. These walnut notebooks are produced with our metallic gold foil printing. Add character to your labels by choosing wooden stickers. These labels come in four different types including Smooth Cherry, Smooth Walnut and Smooth Birch and are as unique as it gets. Customize the real wood product with your design and sophisticate your products by adding to them this rustic, environmentally conscious sticker. Add character to your labels by choosing wooden stickers. Are Wood products 100% recycled? Our wooden products are made from 100% biodegradable wood and are not 100% recycled. How fast can Wood products be produced? If you are interested in a Wood product but need a faster turnaround time, we do offer rush service at additional cost. Our Smooth Wood products can be completed as fast as a Same Day Service, while our 2-ply Natural Wood options can be rushed to as little as 2 business days. Our fastest services have a cut-off time for order placed and proof accepted by 9:30 am PST. Pricing for rush orders will depend on the quantity and how much faster you need the order completed than the regular turnaround time. Please place a Print Quote request for pricing of Wood products with rush service. You can also add a rush to a Wood order you have already placed by calling our Customer Service Team. Excessive moisture can cause some warping in the wood stock, therefore we recommend to keep humidity between 50% - 70%. Higher or lower humidity levels can cause some warping in the wood. With 2-ply products, warping, contraction or expansion of the wood due to temperature can also result in the two plies curling apart near the edges in some rare cases. To properly care for your wood products, please store them in a paper carton (or wrap them in paper) to prevent moisture from getting in. If you do see warping in your wood product, you can spread it out in an area with normal room temperature (around 25 degrees celsius) and within the recommended humidity levels. Along with applying pressure (you can try placing something flat and heavy on top, like a textbook) the warping can be corrected. Wood is a natural material that shrinks and expands when reacting to natural elements like temperature and humidity. To best care for your wood product, you should try to avoid exposing the product to extreme temperature and humidity differences. What is the difference between the Natural Wood and Smooth Wood stocks ? Available in 3 shades: Natural Birch, Natural Cherry, and Natural Walnut. 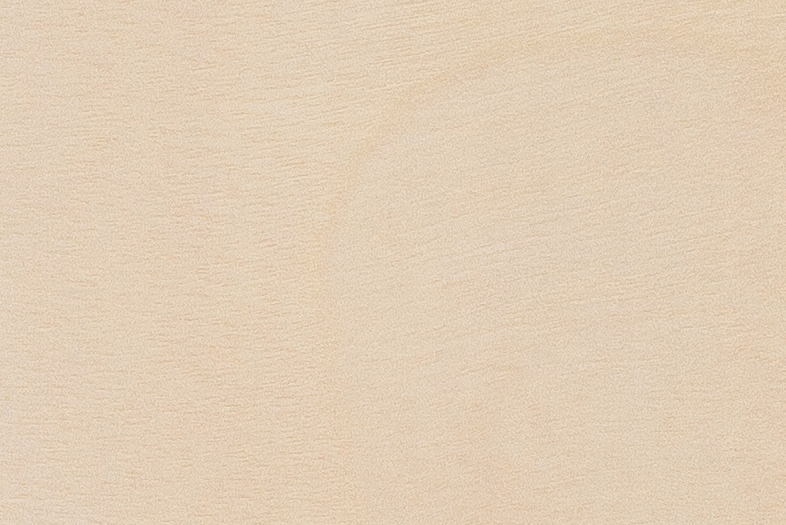 Available in 4 shades: Smooth Birch, Smooth Cherry, and Smooth Walnut. See: What options are available for Wooden Cards? Can I see samples of the Wood cards? Samples of the Wood are available by ordering a Specialty Sample Pack. Where does the wood come from? How is it sourced? The process of producing the wood stock does not use any water (as used in the pulping process for paper) or chemicals (such as bleach and colour for paper). Virgin wood is used in the production of our wood stocks. The wood comes from sustainable sources. What options are available for Wooden Cards? See: What is the difference between Wood and Smooth Wood? Are you able to produce wood in a custom shape or size? Yes! We can produce almost any shape, flyer, rack cards and even up to poster size in the Wooden stock – and any custom or intricate shape you can come up with. The wooden cards are perfect for die-cutting. Submit a Custom Print quote for your shape or size today. Can I print a photograph on the Wood stock? If you are to print photos on the wooden stock, it would be best to adjust the photo to make it appear better - such as a duotone image, or increasing the contrast greatly. If you are wanting rich colours, or accurate colour, the wooden stock is not suitable. You can print whatever you want on the wooden stock. However, we do not recommend printing an image as the colours and crispness are effected by the wooden stock – the colours are not as bright and detail not as crisp when printed on the wooden stock. It is not really suitable for photographs. How water resistant is the wood? The wood stock may also be affected by being exposed to moisture, humidity and heat. The wood stock is not coated or treated with anything that will protect it from water damage so is not water resistant. Do you print on wood? We can also offer Foil stamping in various colours, including metallics, white, black and clear. Screen printing may also be requested for matte colours (including white). These services are available at additional cost through a Print Quote request. Wooden Cards are printed digitally with our plant-based biomass inks – full colour CMYK. How flexible is the wood – will it snap or break? The 18pt Smooth Wood is slightly more flexible than the 2-ply Natural Wood products, however both are fairly sturdy and difficult to break. Can you emboss the wood? 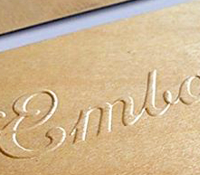 Yes – we can emboss wood! The Wood cards are made from real Wood. 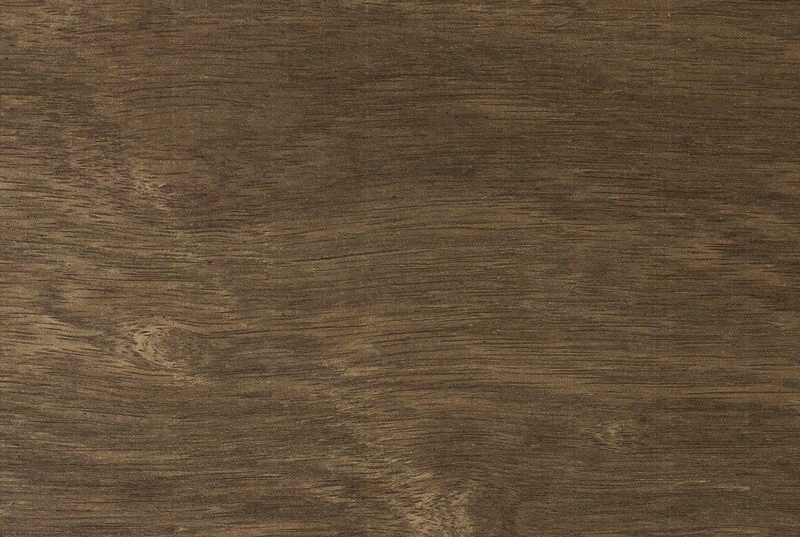 Have a close look at the samples shown on our website – the Wood has a natural grain and flecks throughout it. These appear in a random texture across the surface. The grain and flecks will show through onto your design – and especially interfere with fine detail and text. Any contact details and text should be kept to a minimum and be very large and bold to be readable and clear. If you are looking for a clean and crisp smooth print, we would suggest switching to a Coated stock. The 18pt Smooth Wood stocks are much smoother than the Natural (2-ply) stocks – but they still have some texture. While the Wood stock can hold some fine details in the print – keep in mind that the grain may interfere with this fine detail being visible when printed. We recommend a minimum of 0.5pt line-weight or thicker. The stock will affect the way that colours appear (in the same way as with the Brown Kraft cards). We do not print white ink through regular CMYK printing. Elements in your design that are white will be blank (hence show the wood). If you are wanting very rich or accurate colours, the wooden stock is not suitable for you. Minimalistic designs always look the best with this stock. We do not recommend full colour pictures or graphics. We recommend a safety margin of 0.25 inches away from the trim line for this product. Due to the nature of the stock it can shift significantly during printing and trimming processes. Shifts of 0.0625" to 0.125" can occur (which can cause your design appear off-centre) especially with 32pt Wood products. This is the reason we recommend a larger safety margin of 0.25 inches.